Check out the epic new Battlefield 3 launch trailer! This new single-player gameplay trailer of EA’s Battlefield 3 will blow your mind! 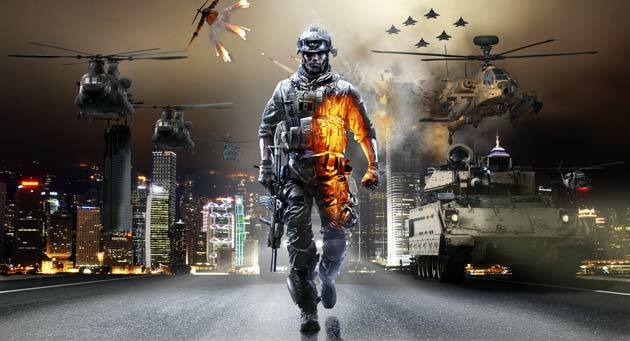 Winning over 60 industry awards, Battlefield 3 launched on 25 October 2011. The launch trailer gives you a preview of the intense single player campaign that awaits you. A sinister power is rising in the Middle-East, and Marine Sergeant “Black” discovers how far he would go to defend his country. You will fight this new emerging international threat in a campaign spanning New York, Paris, Tehran and other diverse locations on the frontlines of a global conflict. Improved engine, unrivalled destruction, bigger battles, true teamplay, drivable vehicles and the most awards. Explore this epic game by reading our Battlefield 3 Review or download our free Battlefield 3 Wallpapers.